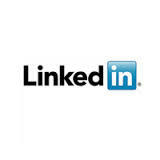 Linkedin is the leading business networking website worldwide. There are over 6 million members in Australia with 4 out of 5 professionals with a Linkedin profile. Australia has one of the highest memberships of Linkedin in the world. The biggest benefit is the ability to make connections. It’s an important tool for actively networking online and getting seen by potential employers. Linkedin is not a jobs board but companies are now advertising positions there. The prime function of Linkedin is to network and make connections. You can find people who from your profession, industry and former colleagues and friends. Job advertisements often appear first on Linkedin and some companies are asking candidates to apply directly for jobs using only their LinkedIn profile. In the future I predict that resumes will not be in use anymore and people will just use linked profiles for job hiring. This is already happening with some job applications. At every step of the job search and application process you need to stand out from the competition. An excellent Linkedin profile makes a big difference. Australia is a big country with a relatively small population (over 23 million people) and this makes the job market very competitive. When I was coaching Sara a chemical engineer from Hong Kong we worked on approaching the right people in suitable companies on Linkedin. We prepared professional emails marketing her skills and asking permission to connect. Sara sent her email to specific people in target companies. She landed a great job using this method with a company that interviewed her alone when a position became available. I have helped other migrants use the same approach to get great results. I discovered the full story when I was contacted by her new boss. He told me he was very impressed with her approach and her Linkedin profile which really stood out. He contacted me to recreate his Linkedin profile for business purposes. He told me that though he had no job available when Sara contacted him he kept her information and as soon as suitable position came up he interviewed only her. He knew from her resume and Linkedin profile that she had all of the right skills and she was a great fit for their company. Linkedin is vital to your job search. A stand out professional profile makes a big difference and can get you hired.